It seems like I was taking down my Christmas decorations just the other day, but Valentines is nearly upon us. This is a sure sign of getting older, time just seems to fly by! 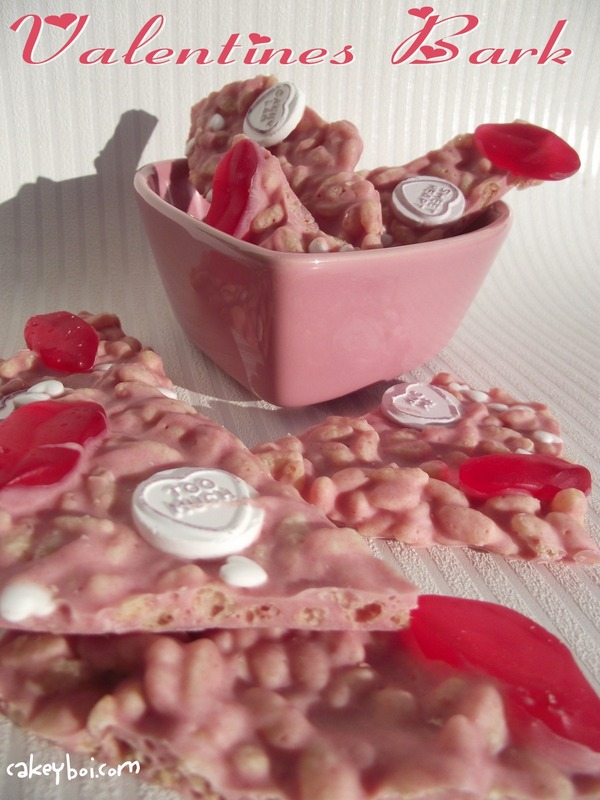 I couldn’t let this holiday pass without sharing my idea for a Valentines Bark. Bark, you know the stuff – or my version - white chocolate, krispies and whatever takes your fancy on top of all that. I have made various different types such as Christmas, Halloween, Great British. So why not for the ‘loved up’ holiday? Line a cookie sheet with greaseproof paper and set aside. Over a pan of simmering water, place a bowl filled with the white chocolate. Stir until melted and then add pink food colouring until you get a shade you are happy with. 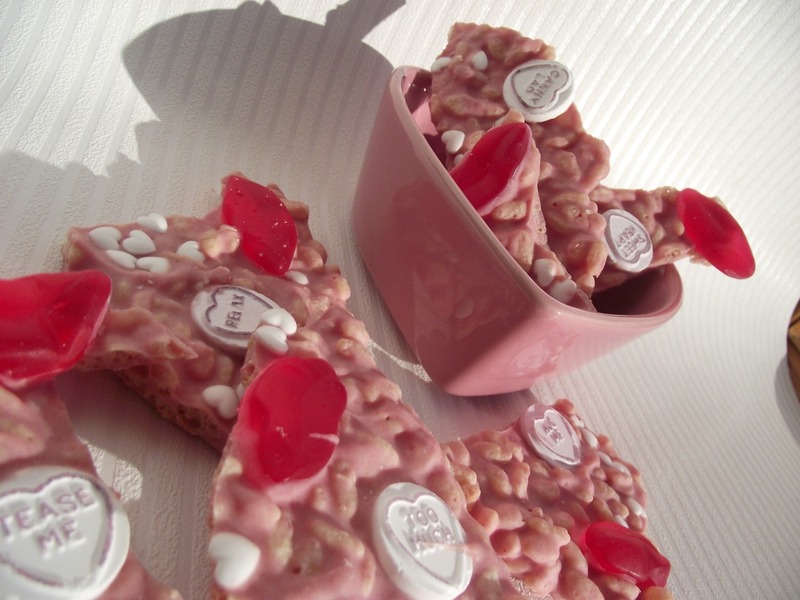 Stir in the rice krispies so they are all coated with the pink white chocolate. 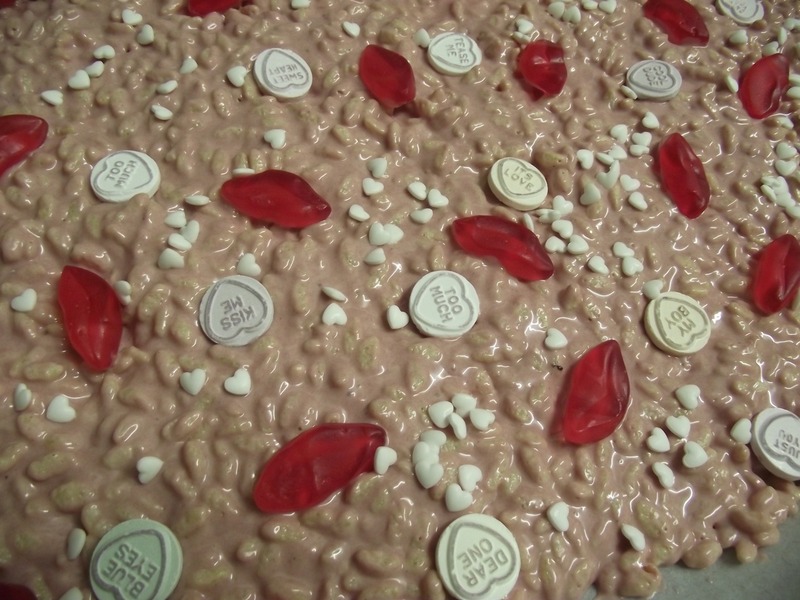 Spread the krispie chocolate mix into the cookie sheet and spread out as thin as possible without it breaking up. Then randomly add your toppings. Once done, take another sheet of greaseproof paper, place this on top of the bark and with your hands gently smooth over it, to embed the add-ins into the molten chocolate. I'm going to have to give this bark stuff a go, it does look very simple to make and very yummy! It is super-easy Kat and the good thing is you can add whatever you like on top!! Nice idea. 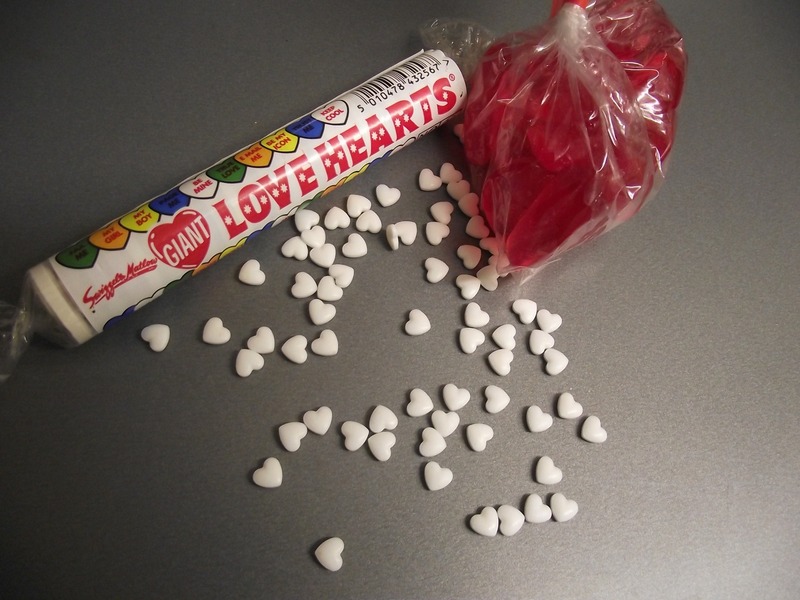 I didn't really get the point of love hearts as a kid - it was the sweet that all the girls liked and not for us boys. I changed my mind later. Thanks for reminding me about Love Hearts!! I used to love these as a kid and couldn't remember the name. Kept asking in vintage candy stores to no avail. Got 'em on line! !